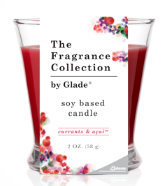 Head on over to Right@Home and print out your B1G1 Free Soy Candle Coupon from Glade. I can tell you that these candles are GREAT! I absolutely love them They burn clean and almost completely gone – so hardly any waste! Not a member of Right@Home? Just sign up and you can go in and grab this great coupon too!